Suzuka Area is the northern part of Mie Prefecture. The sea side of this area is called Yokkaichi Industrial District. There are many industrial factories in this area. It has also mountains on the western side. This area has many nature and historic site. 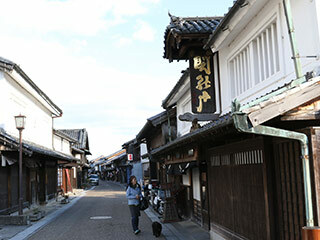 Because Suzuka area is located on Ise Road and Tokaido Road, there are many historic sites remaining, especially Seki-juku is the biggest post town in Tokaido Road. The most famous feature of Suzuka is Suzuka Circit. It is the international race circuit that held even F1 Race. Use Higasi Meihan Express Way. Exit at Yokkaichi. Use JR Kansai Line to Yokkaichi Station.